Three people are fighting for their lives after a mass drug overdose affected nine in a rental house in the Australian city of Perth. Medical staff say three of the drug takers remain in a critical situation and are in intensive care at hospital. Seven men and three women were initially taken by paramedics to three separate hospitals after being found suffering drug overdoses, reported the ABC. Medical help was called for when the nine were found in distress at a property in Perth’s west described by neighbors as a backpacker and student accommodation. 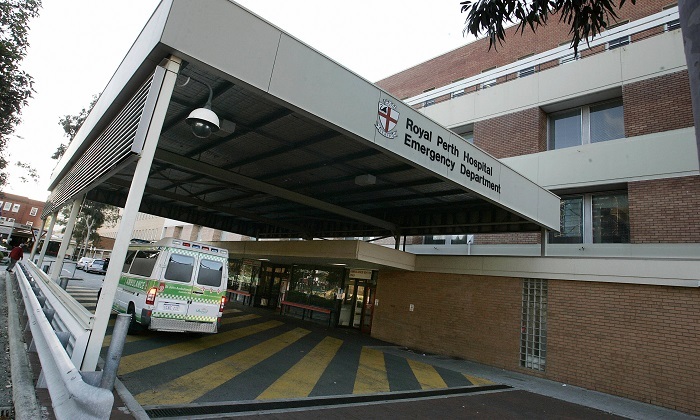 Royal Perth Hospital emergency medical physician David McCutcheon said some of the group had to be sedated when admitted to hospital. “They were brought to us in a state of agitated delirium, they were hallucinating, their hearts were racing,” McCutcheon said. “Several of them have had to be put in a medically-induced coma for their own protection,” he said. Clinical toxicologist Jessamine Soderstrom told ABC that some of the patients would be kept in induced comas for some days. Soderstrom said it was “extremely lucky” that an ambulance was called when it was. “If it wasn’t [for the] timely call of the resident… some of those patients inevitably would have died,” Soderstrom said. “When your body overheats to a certain temperature for a certain period of time it’s like cooking an egg,” she said. Ambulances were called to the residence just before midnight Tuesday were they found the nine in a semi-conscious state. The ABC report said that doctors were so far unable to confirm what drug the nine had consumed but police found white powder from inside the residence. Residents in the neighborhood described chaotic scenes as those affected by the drugs were taken away in the ambulances. “When we came out (we saw) heaps and heaps of police cars and ambulances, eight ambulances and six or seven police cars,” neighbor Sebastian Arevelo told 9NEWS. “It was just absolutely crazy. People were rushing around, rushing into the house,” said Arevelo. “People started coming out on stretchers, most of them were in an unconscious state,” he said. Local resident Sophie Barnet told the ABC that the whole episode was frightening to witness. “They [the stretchers] were all coming past in a line it was so scary and they had glassed eyes and they were like in a different world it was so scary to look at … a lot of them were having seizures,” Barnet said. “A lot of them were shaking and trying to get out of the bed, but I don’t think they knew they were doing it,” she said. Another neighbor told 9NEWS that the residence was being used as short-term accommodation for backpackers or students. “They seemed a pretty happy-go-lucky lot,” resident Gary Baden-Davidson said. “It’s like a backpackers, it’s pretty transient. People come and go every two weeks or so,” he said. Three of the nine, those least affected by the overdose, have been discharged from Fiona Stanley Hospital.